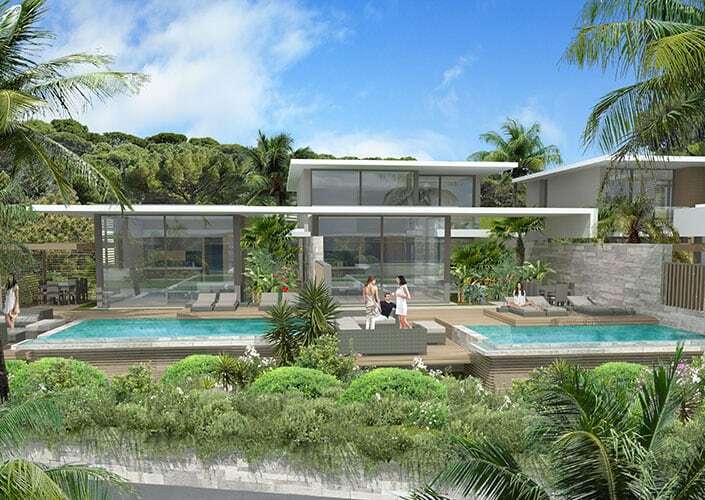 Brand New Luxury Villas for sale in St Maxime , which is located 20m away from St Tropez in the South of France. This project is designed and built from one of the top developers in france, paying particular attention to it's landscaping. Each Villa has a panoramic sea view, outdoor lounges, swimming pools, private gardens. All Villas have spacious, light , plenty of room to enjoy ytheir villa. 20% VAT can be claimed back on the purchase price if rented on a flexable rental agreement.